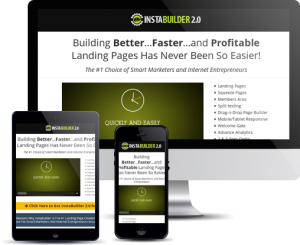 Use InstaBuilder to create stunning capture pages, funnels, web pages, membership pages and much more. It’s so much more than just capture pages. Check out InstaBuilder 2.0 now. Click the image above or below.